Associate Pastor Ben Davidson of Bethany Community Church learned a valuable lesson during Hurricane Katrina in 2005 that benefitted him and his congregation the morning of Nov. 17, 2013, when a powerful tornado tore through Washington IL. His quick thinking reminds me when disasters occur; having a plan can save lives and help pivot a community toward a strong recovery. I have learned this lesson many times through the faith leaders I’ve engaged as director of the DHS Center for Faith-based & Neighborhood Partnerships. On Sunday morning Pastor Davidson was preparing to begin his adult Sunday school class, when he received an emergency phone call. A tornado had touched down and their church was in its path. Immediately he and the staff worked to move the congregation –particularly the children — to their designated shelter in the church location and they began to pray together as the storm passed through their community. The entire congregation comforted one another through what Pastor Davidson recalls as “the longest 45 minutes of my life.” Once all congregants were accounted for and that families could leave the sheltered location Pastor Davidson immediately went home to confirm the safety of his children who were at home sick that morning. Immediately following the disaster, Bethany Community Church joined its fellow members of the Washington Ministerial Association, AmeriCorps and the Illinois Voluntary Organizations Active in Disaster to help coordinate the community’s recovery efforts. Since the devastating event, more than 4,000 community volunteers have registered with Bethany Community Church to help their loved ones and neighbors during disasters. Their effort and commitment will help to increase the community’s resilience and ensure they are better prepared for emergencies. The story of Washington, IL, and Bethany Community Church is a reminder of the care and compassion that faith-based organizations can provide all survivors in times of disaster. Their story reinforces the power of a whole community, “survivor centric” approach and the important role and responsibility of faith leaders in preparing their communities before disasters strike. I encourage you to know what to do before disaster strikes by joining the thousands of faith-based and community members on the National Preparedness Coalition faith-based community of practice and connecting with faith and community leaders across the country working on preparedness. Being prepared contributes to our national security, our nation’s resilience, and our personal readiness. Building a teenage readiness club in Monson, Mass. My name is Rachel Little and I am a junior attending Monson High School. I have lived in Monson, Massachusetts, my whole life, and couldn’t have grown up in a better place. My town is full of strong- willed, determined people, always willing to lend a helping hand. When a tornado struck our town on June 1st, 2011, it brought our small community even closer together. Everyone was reaching out to give support, from supplying food or water, to giving neighbors hope for a better tomorrow. It was a very moving event to watch. Even though I was not directly affected by the tornado, I had people very near and dear to me in the path of the tornado. I wanted to help out in whatever way I could, because I saw how much the people of Monson were suffering. I couldn’t stand by and watch — I had to take action. Therefore, I joined the Monson volunteer efforts and eventually became a member of The Street Angels. The Street Angels is a dedicated volunteer group that brought supplies to families in need after the tornado, and helped families make connections with landscapers and builders. My fellow Street Angels helped me fill out an application to become part of FEMA’s Youth Preparedness Council, and I am now going into my second year of being a proud member. To me, the Youth Preparedness Council is the beginning of people realizing that youth can make a difference in emergency preparedness and response — not just myself and the wonderful people of this council, but the world’s youth. My fellow members and I are just the beginning of that change. My plan for 2013 is to collaborate with the Medical Reserve Corps (MRC), or Community Emergency Response Team (CERT), to start a teen readiness club in my town. I know a lot of people my age wanted to get involved after the 2011 Monson tornado, but they didn’t know how. If either a Jr. MRC or a Teen CERT had already been in play before the tornado, Monson would have seen a significantly higher amount of youth action. Being a member of the Youth Preparedness Council, my mission is to increase the amount of prepared youth and families in my region. I’ve also been trying to share emergency preparedness at my school. I’ve hit significant road blocks during previous attempts at getting a teen readiness club up and running for Monson High School. After last year’s Youth Preparedness Council summit in Washington DC, I had my heart set on starting a Teen CERT. The idea of getting my friends and classmates interested in preparedness and prepared for disasters was exciting. I asked around to see if I could get a trainer to help me get the team started. I found a man in my neighboring community who seemed very willing to help me out, but unfortunately, that fell through. I turned to my Local Emergency Preparedness Committee, which was formed after the tornado. Although I made a presentation to them and they liked my ideas, we weren’t able to get the plans off the ground. I did meet a woman in the Local Emergency Preparedness Committee meetings who happened to be the head of the MRC in my town, and she introduced me to Jr. MRC. We’re still hoping to get the Jr. MRC started, and it’s a current work in progress. I anticipate that the challenges for this year will again be finding someone to teach the course or help me with the establishment of the club. I have a backup plan, so that if things fall through, I will take the Teen CERT “train the trainer” course so I can teach a class myself. As a result of starting Teen CERT or Jr. MRC in Monson, I want to see this little community become prepared for future emergencies. I hope never to see another disaster to the extent of the tornado ever again, but it’s better safe than sorry. I will know I’ve met success when I have a fully functioning teen readiness club in Monson High School. From there, I can only hope to expand my efforts to other communities and beyond. Editor’s Note: The views expressed in this blog post do not necessarily represent the official views of FEMA, the Department of Homeland Security, or the United States Government. We are providing links to third party sites and organizations for your reference. FEMA does not endorse any non-government entities, organizations or services. If you have ever had the chance to speak with Administrator Fugate or listen to him discuss the role of first responders in disasters… you will know he views their work with a revered appreciation. They are an intricate part of the emergency/disaster response team. As a former Police Chief, I can attest to their hard work and dedication and agree whole heartedly with Administrator Fugate. In my 30 year career I have witnessed heroic efforts by my officers and colleagues, including during times of disasters. While serving Prince George’s County, we responded to 9/11, Hurricane Isabel, snowstorms, and multiple tornadoes. Specifically, I recall one of the tornadoes that impacted my county. An EF-3 tornado impacted the nearby college campus and devastated neighborhoods and infrastructure. Emergency services were stretched to the max. Our officers worked relentless hours, 48 hours straight in some cases, setting up and supporting emergency response and rescue operations. The scene was chaotic with debris and terrified college students, but the right training helped officers maintain public safety and conduct lifesaving missions. 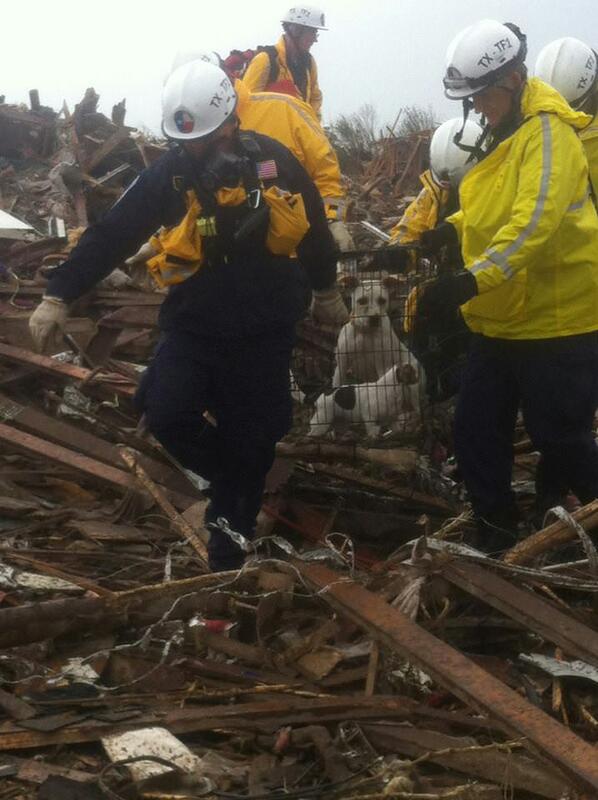 We ask a tremendous amount of our first responders during disasters and emergencies. They are the first line of defense; they are the first helping hand extended to survivors. Every police officer knows emergencies can happen without notice. Our ability to respond to and recover from disasters is directly influenced by how well prepared our first responders are and how well we all work together as a team before, during, and after a crisis. 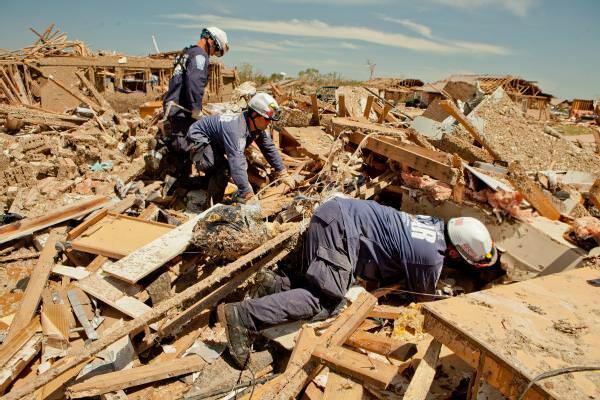 The role of law enforcement in responding to a disaster is very similar to the day-to-day role of public safety and supporting the community. In preparing for a disaster, police officers trust in their training and capitalize on their knowledge of a community. Exercises portraying the situations (large- and small-scale events) help better prepare officers and allow them to fully understand the resources needed for each event and apply that information to each community’s needs. Law enforcement officials know their communities best and interact with residents on a daily basis. This knowledge gives them the ability to provide valuable situational awareness to response and recovery groups coming in to help. For example, where will there be language barriers? Does the community have unique challenges? Law enforcement can help communicate this information to the emergency management team and can offer support to other members of the team by simply being a presence in the neighborhoods. 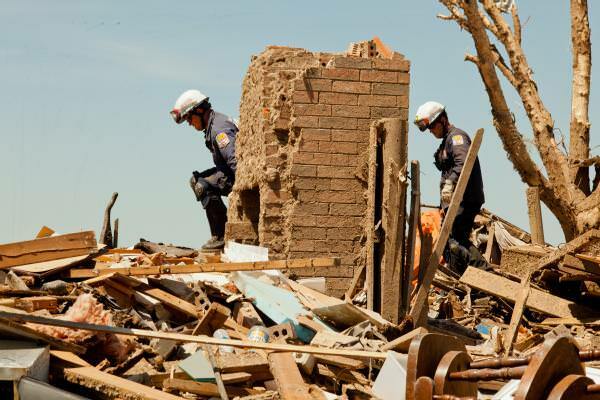 During a disaster, police officers play a key role in many operations including: search and rescue, evacuations, door-to-door checks, and maintaining overall public safety within the community. These are critical actions that support not only their own communities but neighboring towns as well. Providing for the safety and security of the community. Responding to disasters is a shared responsibility, and those in law enforcement are aware that emergency management planning is for all hazards and that it takes a team effort to keep our communities safe. I’m proud to represent the law enforcement community at FEMA as we continue to strengthen the coordination among the entire emergency management team. Editor’s Note: Police Chief Magazine is a publication from the International Association of Chiefs of Police and serves as the professional voice of law enforcement and supports programs and research, as well as training and other professional services for the law enforcement community. At the end of each week, we post a “What We’re Watching” blog as we look ahead to the weekend and recap events from the week. We encourage you to share it with your friends and family, and have a safe weekend. Millions around the country dealt with a series of severe storms this week – and forecasts from the National Weather Service are calling for a potential for storms over the Great Plains, stretching from North Dakota to Kansas today. As this week’s storms remind us, keeping up with your local forecast and having a plan are two key steps to stay safe. What are the best ways to do that? Well, you can follow the weather in your area through local TV/radio, but you can also do so on your phone through the National Weather Service mobile site at mobile.weather.gov. And if you don’t have a NOAA Weather Radio, it’s definitely worth the investment. It can alert you of severe weather conditions in your area 24/7, while providing specific actions for staying safe. You can pick them up at most big box stores, and hardware stores are a good place to look, too. As for making a plan for severe weather, Ready.gov has you covered. You can visit the site on your computer or mobile device for a full list tips on staying safe before, during, or after severe weather. Visit our Careers page to learn more about FEMA and browse through other opportunities that are available. Small Business Week – It’s important for everyone to be prepared for an emergency, even businesses. As part of Small Business Week, we’re encouraging all business owners and employees to take the time to make sure your business is prepared for an emergency and employees/coworkers know what to do in the event of an emergency. Visit the Small Business Administration’s website and Ready.gov for tips and resources on preparing your business for an emergency. Operation Hope – If you’re in the Atlanta, Georgia area, on Tuesday June 18 at 12:30 p.m. EDT Administrator Craig Fugate will be participating on the Operation Hope Forum titled Financial and Economic Disaster Recovery: People, Preparedness and the Price. To learn more about the event or to register, visit the Operation Hope website, follow @OpHOPE_ATL and follow the conversation using #HOPEforum. FEMA’s Private Sector forged a relationship with the Girl Scouts of the Jersey Shore, the state of New Jersey Department of Homeland Security and Preparedness and the Lakewood BlueClaws minor league baseball team to raise donations of preparedness items and increased awareness of the importance of preparedness. 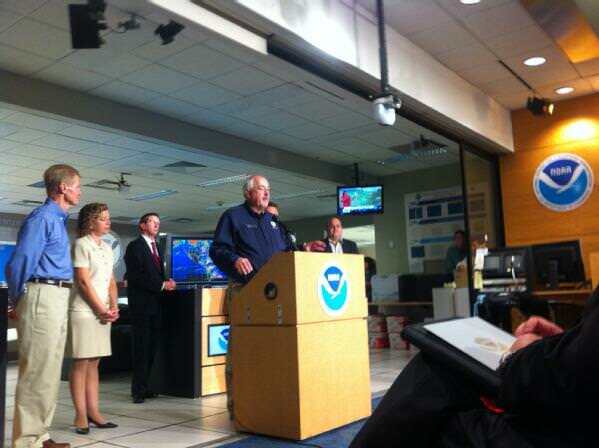 Miami, Fla., May 31, 2013 — FEMA Administrator Craig Fugate speaks at NOAA’s annual Atlantic Hurricane press event discussing the upcoming hurricane season. Download the FEMA app – It’s filled with tips on what to do before, during, and after a hurricane – and other disasters, for that matter. Should a storm hit, the app has maps of any open shelters or FEMA disaster recovery centers. And one thing I really like about the app is that even if cell service is unavailable, you can still access all the safety tips since accessing them doesn’t require a data connection. The app is available for Android, iTunes, and Blackberry phones and tablets. So start the 2013 hurricane season off on the right foot. Have a plan for how you, your family, and your business will stay safe if a hurricane or tropical storm impacts your area. Ready.gov/hurricanes has all the info you need, so check it out today. Coming up this weekend, developers and technology enthusiasts will meet in 95 locations across the country to solve challenges relevant to our communities, states, and our country. FEMA is one of the government agencies supporting the effort through our Fire Data Visualization challenge. We’ve recently released the world’s largest fire-related dataset to inspire people to use the data and build an online data visualization that inspires fire awareness and safety at the local level. There are lots of other great challenges from other agencies and organizations, so I encourage you to check them out and join the effort if you’re interested! Coast Guard Compass blog – One of the members of our External Affairs team talks about how right now is the ideal time to prepare and gives the key steps to doing so. To wrap up, here are some of the photos from our photo library this week. Anoche, un gigantesco tornado azotó cerca de Moore, Oklahoma, dejando a su paso un camino de destrucción. Nuestros pensamientos y oraciones con las familias y comunidades que han sido afectadas por los tornados. Siguiendo las instrucciones del Presidente, el Administrador Fugate ha viajado a Oklahoma para garantizar que todos los recursos federales estén disponibles para asistir al gobierno estatal, tribal y local en los esfuerzos para salvar vidas y garantizar la seguridad, entre estos incluidos los esfuerzos de búsqueda y rescate. 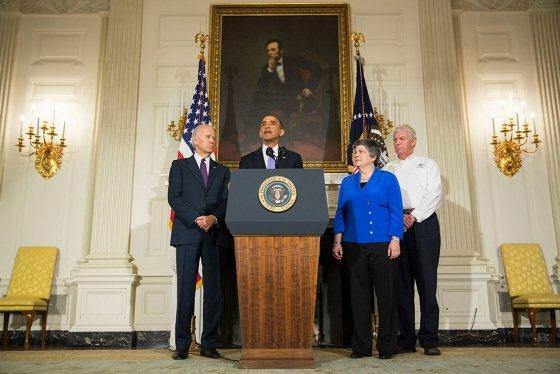 Ayer, el Presidente Obama declaró un desastre mayor para el estado de Oklahoma, haciendo disponible fondos de asistencia federal a los individuos y familias en los condados de Cleveland, Lincoln, McClain, Oklahoma, y Pottawatomie. Equipos de evaluaciones preliminares de daños, compuestos por representantes del estado, FEMA y la Administración de Pequeños Negocios, que se encuentran en el campo y comenzarán a realizar evaluaciones hoy. Puede que se añadan más condados o formas de asistencia una vez finalicen las evaluaciones. Tres equipos de Búsqueda y Rescate Urbano (grupo de trabajo de Texas 1, grupo de trabajo de Nebraska 1 y grupo de trabajo de Tennessee 1) y un equipo de apoyo ante incidentes han sido desplegados para apoyar los esfuerzos de respuesta al desastre. Un equipo nacional y dos equipos regionales de asistencia para el manejo de incidentes han sido desplegados para el centro de operaciones de emergencia del estado, localizado en Oklahoma City, para dar apoyo a las autoridades estatales y locales. Dos equipos de apoyo móvil se encuentran en Oklahoma para ofrecer apoyo logístico, operacional, y en telecomunicaciones a los esfuerzos de respuesta. Más equipos también están siendo desplegados. Tres equipos de asistencia para sobrevivientes de desastre también llegarán al área. Estos realizarán la misión de evaluar, notificar y preparar un informe (AIR, por sus siglas en inglés) para ayudar a los colaboradores federales, estatales, locales, tribales y territoriales recaudar información sobre las áreas afectadas durante las primeras horas, días y semanas después del desastre. Estos equipos podrán responder a las necesidades inmediatas y posibles futuras necesidades que surjan para los sobrevivientes: como ayudarles a solicitar asistencia, verificar el estatus de su solicitud, evaluar sus necesidades, y referirlos a colaboradores que ofrezcan servicios de apoyo a sobrevivientes. FEMA también activó al Centro de Coordinación de Respuesta Nacional, localizado en Washington, DC. Este centro promueve la cooperación entre varias agencias y coordina la respuesta federal ante desastres naturales y emergencias, para apoyar las solicitudes de asistencia de los estados. Los centros de coordinación de respuesta de la Región VI (RRCC, por sus siglas en inglés), localizados en Denton, Texas, también permanecen activados. Si usted se encuentra en el área afectada: Exhortamos a todos los residentes de los condados incluidos en la declaración de desastre a solicitar asistencia de FEMA. Pueden solicitar asistencia por internet o desde su teléfono móvil visitando www.DisasterAssistance.gov/es o llamando al 1-800-621-FEMA (3362). Los solicitantes con discapacidades auditivas o del habla pueden llamar al 1-800-462-7585. Siga las instrucciones de las autoridades locales y tome las precauciones de seguridad necesarias para permanecer seguro y mantener su propiedad segura mientras se llevan a cabo los esfuerzos de recuperación. Es probable que las carreteras estén dañadas o llenas de escombros. Los tapones de tránsito complicarán la labor del personal de emergencia y primera respuesta según estos hacen su camino a las áreas afectadas. Si está tratando de comunicarse con familia o amigos en el área afectada: La página de Sano y Salvo de la Cruz Roja Americana (o su sitio móvil), mensajes de texto, y los medios sociales son buenos recursos para dejarle saber a sus amigos y familia que está a salvo. Es probable que no haya servicio telefónico después de un desastre, por lo que estos métodos pueden resultar más eficaces. Si usted no se encuentra en el área afectada, pero quiere ayudar: Aquellos buscando maneras de ayudar a los sobrevivientes del tornado, recuerden: donar o ser voluntarios con organizaciones reconocidas. Solo haga donaciones que hayan sido solicitadas por las autoridades locales. Para donar dinero, las mejores donaciones son en efectivo. En el sitio web de las Organizaciones Voluntarias Activas en Desastres (NVOAD, por sus siglas en inglés) encontrará una lista de organizaciones confiables a las que puede realizar donaciones. Siga a NVOAD en Facebook y Twitter @NationalVOAD. Para más información sobre cómo ayudar a los sobrevivientes de desastre, visite http://m.fema.gov/es/get-involved y www.ok.gov/okstrong. Como dijo el Presidente Obama esta mañana, continuaremos apoyando los esfuerzos de respuesta y recuperación con todos los recursos a nuestra disposición para ayudar a los afectados por el tornado. Para mantenerse informado de los esfuerzos, síganos @FEMA and @FEMAregion6 en Twitter o visite la página del desastre de Oklahoma. Exhortamos a todos los afectados por las tormentas a solicitar asistencia por desastre de FEMA visitando www.disasterassistance.gov/es desde sus computadores o teléfono móvil. También pueden solicitar llamando al 800-621-3362. Más de 2,200 sobrevivientes ya se han inscrito para solicitar asistencia. Tres Equipos de Asistencia por Desastre para Sobrevivientes están ofreciendo ayuda a los sobrevivientes de desastre para inscribirse con FEMA y solicitar asistencia. Estos se encuentran equipados con tabletas para poder inscribir a las personas con la mayor rapidez posible mientras toman nota de las necesidades de la comunidad. Se han abierto dos centros de recuperación por desastre cerca de las áreas afectadas para que las personas afectadas por los tornados puedan reunirse en persona con representantes de FEMA y el estado. En los centros, los representantes podrán responder a preguntas sobre el proceso de asistencia por desastres y proveer información sobre los tipos de asistencia disponible. Además, más de 127,000 litros de agua y alrededor de 30,000 comidas han sido distribuidas a Oklahoma City para apoyar los esfuerzos de respuesta locales. Nuestros colaboradores federales, estatales, locales y tribales están tomando otras acciones. Para mantenerse al día, visite http://www.fema.gov/es/disaster/4117. Hemos visto una gran demostración de apoyo para aquellos afectados por las tormentas, así que si usted se encuentra fuera del área afectada pero desea ayudar, visite http://www.fema.gov/es/donar-y-ser-voluntario. Aquí encontrará información sobre cómo donar y ser voluntario – incluyendo cómo donar a una organización confiable, servir como voluntario, y donar dinero (no artículos o productos) a las organizaciones benéficas ofreciendo servicios de emergencia. Cómo solemos decir en FEMA, responder a emergencias requiere trabajo en equipo. Tan solo minutos después de la tormenta este equipo – compuesto de personal de primera respuesta, los gobiernos federal, estatal, local y tribal, y organizaciones sin fines de lucro y benéficas, y los miembros de la comunidad – tomaron acción. Hemos oído varias historias de demostraciones de heroísmo durante la tragedia. A continuación comparto con ustedes algunas fotos y actualizaciones del trabajo que están desempeñando los equipos para el manejo de emergencias. As you have seen on TV, a tornado leaves behind large amounts of wreckage and debris. 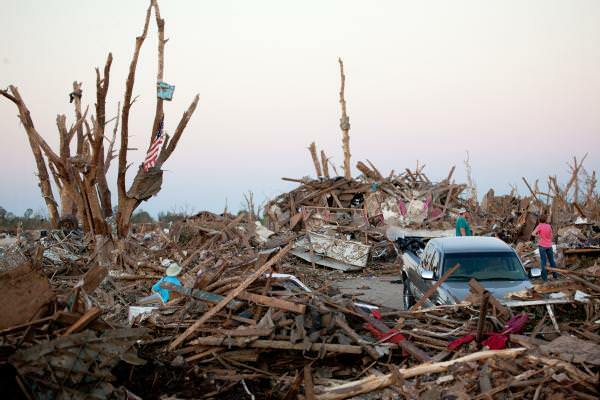 Unfortunately, that debris is generally made up of people’s homes, community buildings, cars, trees, and all sorts of things that a tornado may destroy with winds that can exceed 200 MPH. In order for disaster survivors to even think about rebuilding their homes or their schools or hospitals the debris needs to be picked up and removed. FEMA and the federal government can assist by helping to pay debris removal costs. Local and tribal officials such as mayors, county commissioners, school superintendents, and emergency management officials ultimately make the decisions about how debris gets picked up, where it goes, and who does the work. Generally speaking, they have several options. 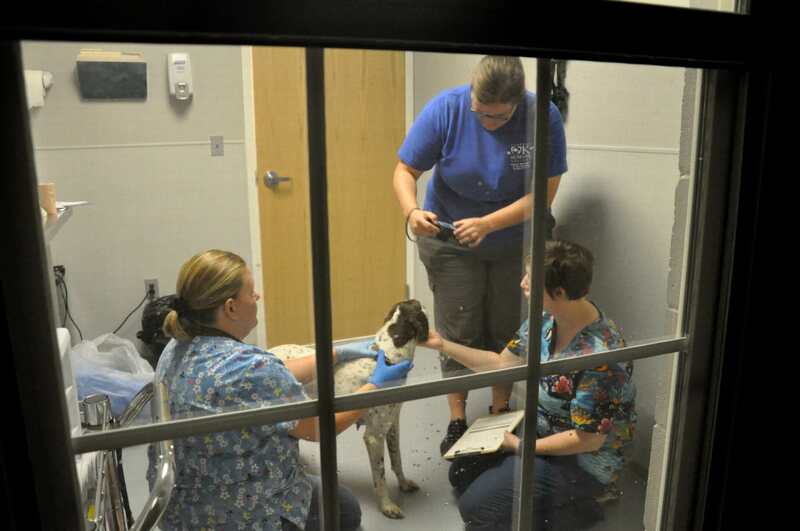 They can have their own employees do the work, local volunteers and organizations can help, the town could hire a company with heavy equipment, or they could request assistance from the state who can ask the federal government to help if necessary. At this point local officials in Oklahoma are deciding which of these options they will use to go about getting all the debris picked up. At FEMA, our role is very much a support role by joining the whole community team of local, state and tribal officials, disaster relief organizations, volunteers, and disaster survivors. 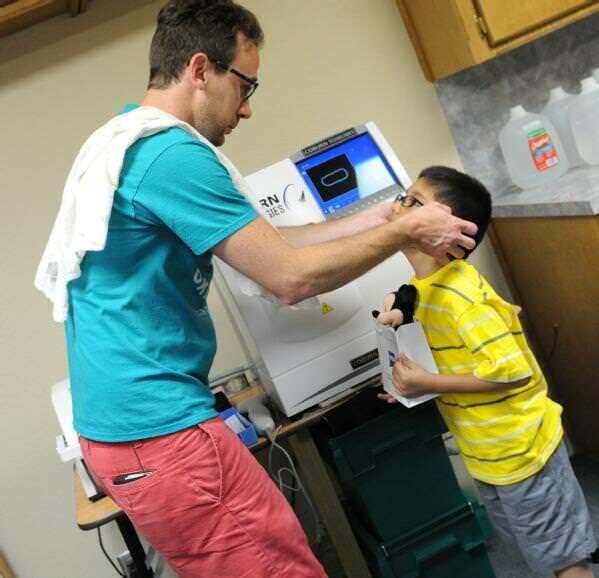 One of our most valuable contributions to the mission is in the form of funding. As the debris left by the storm is being picked up, FEMA works with the state, local, and tribal officials to provide federal reimbursement for the removal costs. If you’re interested in what FEMA can fund, you can look at our Debris Management Guide. 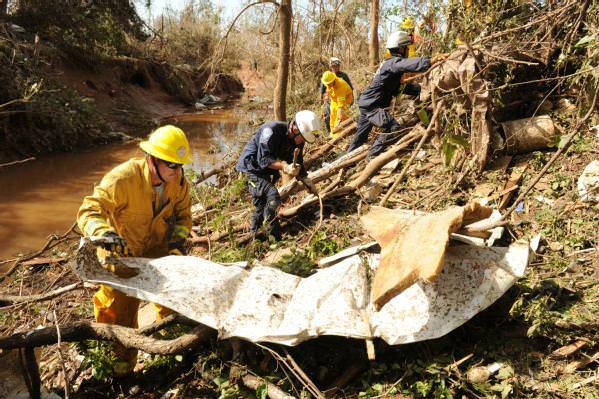 We can also assist the state with technical experts from FEMA or the U.S. Army Corps of Engineers who can offer assistance to local and tribal officials on debris management. The U.S. Environmental Protection Agency may also provide guidance on how to safely handle hazardous waste debris. In Oklahoma, FEMA will be providing additional funding above our normal 75 percent cost share funding for debris that is quickly picked up through a new pilot program. 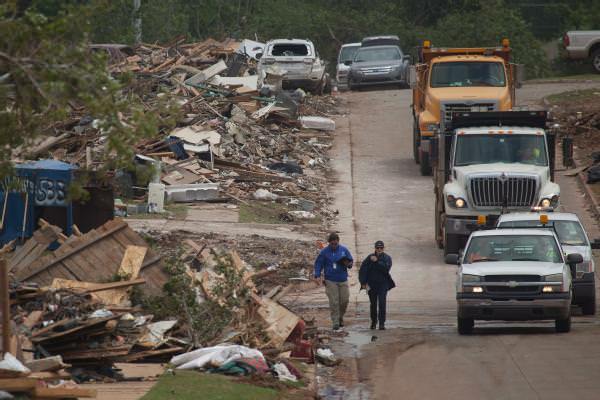 Remember, the quicker the debris is picked up, the faster people can rebuild their homes. 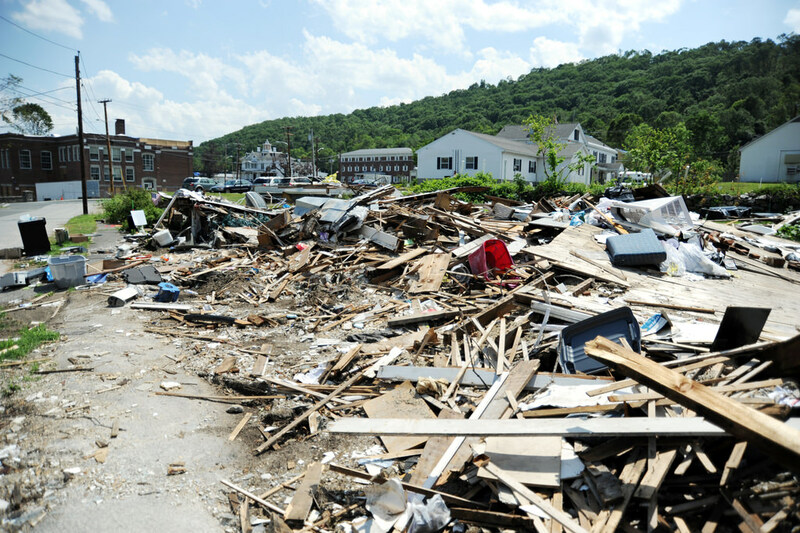 Local and tribal officials may ask disaster survivors to help with debris removal by bringing debris from their property to the curb or by helping to sort the debris into different categories. If you try to move debris please be careful. 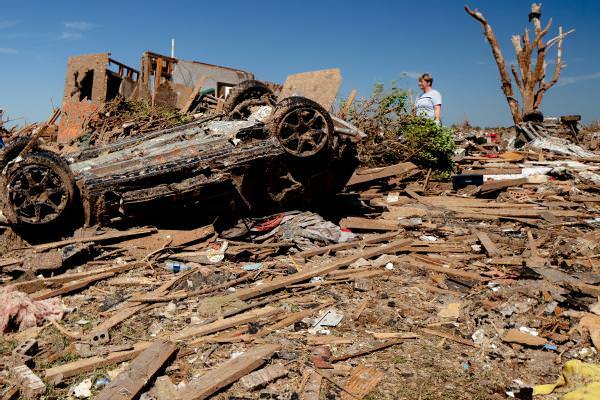 The Oklahoma Department of Environmental Quality published guidance on debris management for residents, including how to handle chemicals and other hazardous debris. All of the debris typically doesn’t just end up in the landfill. It is often sorted before being picked up or taken to a staging site where it is sorted. Just like taking your garbage out on a normal day, items should be recycled and used again helping the environment and in some cases being sold, such as precious metals like cooper, for money. With FEMA’s new pilot program, your local or tribal government may be able to use proceeds they earn from the recycling of debris for other debris removal or emergency management needs. The removal of debris is a big job, but FEMA remains committed to assisting state, tribal and local officials and helping their communities in the recovery effort. If you would like to join the team and help those who were affected by the Oklahoma tornado, we have some information on our website, or you can visit the Oklahoma Strong webpage. We’re encouraging those impacted by the storms to apply for FEMA assistance at disasterassistance.gov on their computer or phone, or by calling 800-621-3362. 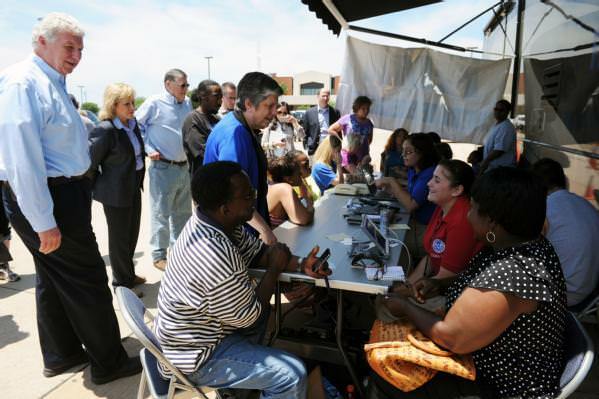 So far, over 2,200 Oklahomans have applied for disaster assistance. 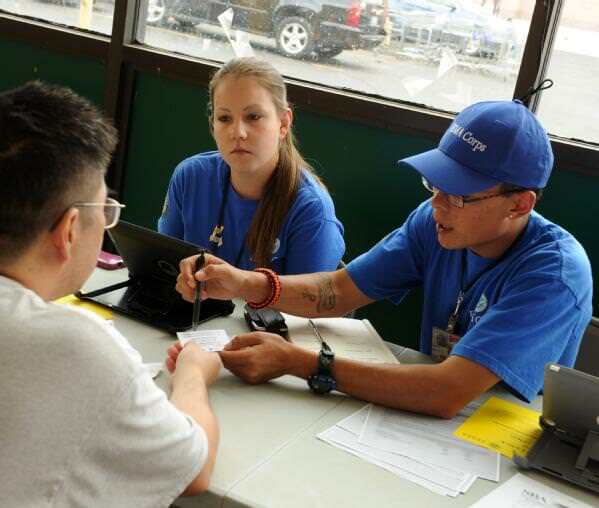 Three Disaster Survivor Assistance Teams are on the ground helping survivors register for FEMA assistance. These teams are using internet-enabled tablets to register people as quickly as possible, as well as to record any unmet needs that affected individuals or communities are experiencing. Two disaster recovery centers are open near damaged areas so those affected by the tornadoes can speak face-to-face to staff from FEMA and the state. At the centers, staff answer questions about the disaster assistance process or what help may be available. 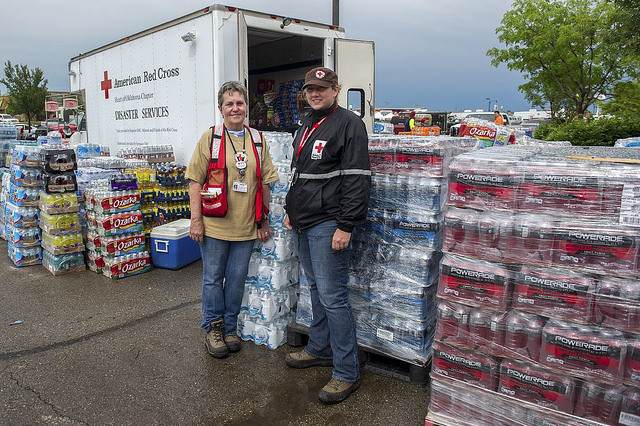 In addition to the items above, more than 127,000 liters of water and nearly 30,000 meals have been delivered to the state at a Federal Staging Area in Oklahoma City in support of the local response efforts. There are many other actions our federal, state, local, and tribal partners are taking and you can find the latest at fema.gov/OKtornadoes. We’ve seen an outpouring of support for those impacted by the deadly storms, so if you’re outside of the impacted area and are looking for ways to help those that have been affected, check out fema.gov/howtohelp. It has information on donating and volunteering responsibly – by doing things like donating only through trusted organizations, volunteering through established channels, and sending cash (not goods) to organizations providing relief. As we often say at FEMA, responding to emergencies takes a team effort. 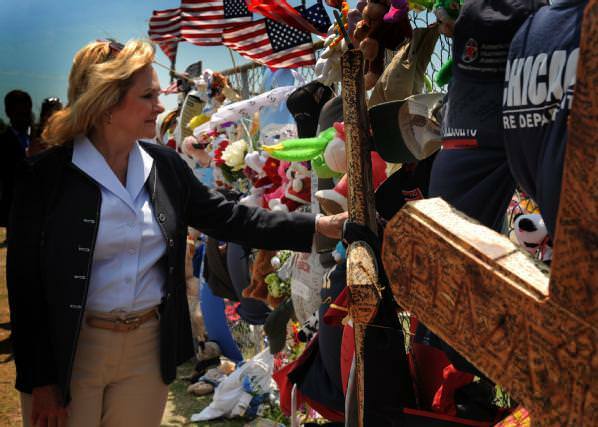 Minutes after the tornadoes struck, this team moved into action, including first responders, federal, state, local, and tribal governments, first responders, non-profit organizations, volunteer groups, and members of the public. There have been a lot of stories of heroism amidst this tragic tornado, so I wanted to share a few visuals and updates from how the emergency management team is helping on the ground. Yesterday evening a large tornado touched down near Moore, Oklahoma, leaving massive destruction in its path. Our thoughts and prayers remain with the families and communities affected by the tornadoes. At the direction of the President, Administrator Fugate is in Oklahoma to ensure all Federal resources are supporting our state, local, and tribal partners in life saving and safety operations, including ongoing search and rescue. Yesterday, President Obama declared a major disaster for the State of Oklahoma, making federal funding available to support affected individuals and families in the counties of Cleveland, Lincoln, McClain, Oklahoma, and Pottawatomie. Preliminary damage assessment teams, comprised of representatives from the state, FEMA and the Small Business Administration, are on the ground and will begin assessments today, and more counties and additional forms of assistance may be designated after the assessments are fully completed. 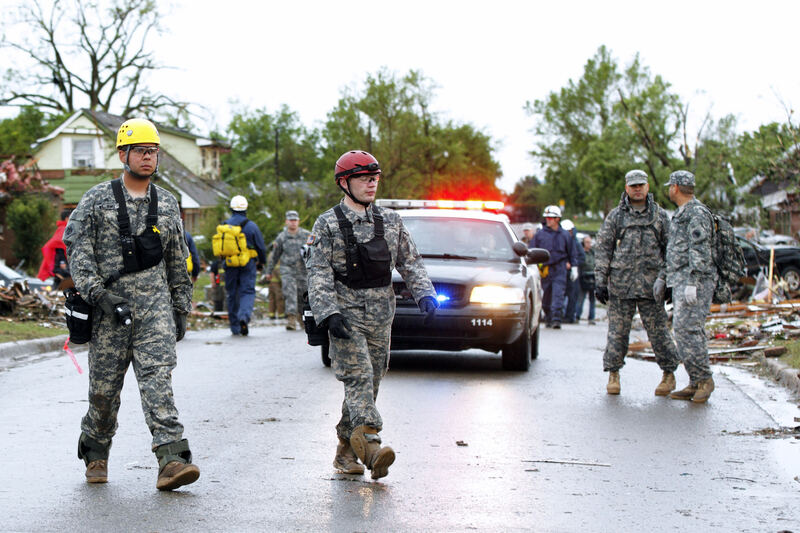 Three national Urban Search and Rescue Teams (Texas Task Force 1, Nebraska Task Force 1 and Tennessee Task Force 1) and an Incident Support Team have been deployed to support the immediate response efforts. One national and two regional Incident Management Assistance Teams are deployed to the state emergency operations center in Oklahoma City to coordinate with state and local officials in support of recovery operations. 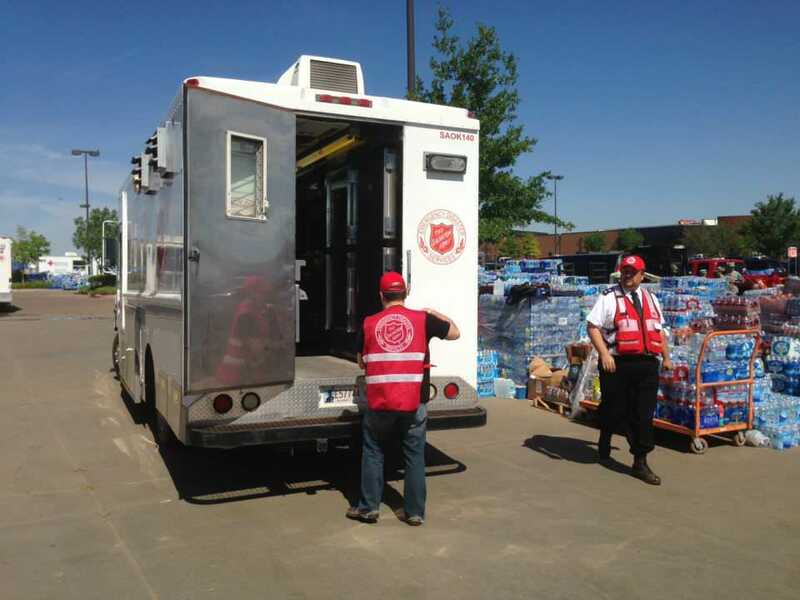 Two Mobile Emergency Response Support Teams are in Oklahoma to provide self-sustaining telecommunications, logistics, and operations support elements, to assist in the immediate response needs and additional teams are being deployed. Three Disaster Survivor Assistance Teams are scheduled to arrive later today into communities to perform the Assess, Inform, and Report (AIR) Missions, a tool to help federal, state, local, tribal and territorial partners gather detailed information on the affected areas during the critical first hours, days and weeks after a disaster strikes. DSATs will address immediate and emerging needs of disaster survivors including: on-site registration, applicant status checks, on-the-spot needs assessments, and access to partners offering survivor services. FEMA activated the National Response Coordination Center in Washington, D.C., a multi-agency coordination center that provides overall coordination of the federal response to natural disasters and emergencies, to support state requests for assistance, and FEMA’s Region VI Response Coordination Centers (RRCC) located in Denton, Texas remains activated. If you’re in the affected area: We encourage residents in declared counties to register for FEMA assistance online or on your smartphone at www.DisasterAssistance.gov or by calling 1-800-621-FEMA (3362). Disaster applicants with a speech disability or hearing loss but use a TTY device, should instead call 1-800-462-7585 directly. Follow the instructions from local officials and take the recommended protective measures to safeguard life and property while response efforts continue. Roads are very likely to be damaged or blocked by debris, and traffic jams slow emergency managers and first responders as they attempt to reach hard-hit areas. If you’re trying to get in touch with friends/family in the impacted area: Use the American Red Cross Safe & Well website (or mobile site), text messaging, and social media accounts to check-in with friends & family. After a disaster, phone lines may be congested, so using other communication methods can be more successful. If you’re not in the affected area, but are looking to help: For those looking for ways to help tornado survivors, remember: go through trusted organizations and only send goods that have been requested by local authorities. If you’re considering donating money, cash donations are often the best way to help. The National Voluntary Organizations Active in Disasters has a list of organizations that you can feel confident in making a donation to. You can also follow NVOAD on Facebook and on Twitter @NationalVOAD. For more information on helping survivors after a disaster, visit fema.gov/howtohelp and www.ok.gov/okstrong. As President Obama said this morning, we will continue to bring all available resources to bear as we support those impacted by the deadly tornado. For ongoing updates on FEMA’s response efforts, follow @FEMA and @FEMAregion6 on Twitter or visit the Oklahoma tornado disaster page.